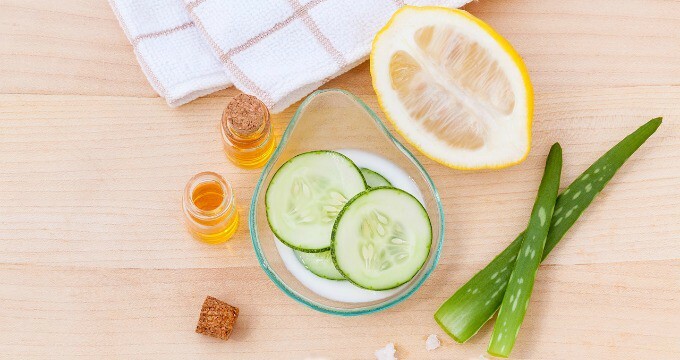 Being short on time or money doesn’t mean you can’t pamper yourself, just use one or all of these five beauty treatments in your refrigerator. Whether you’re trying to drench your dry tresses or lighten those liver spots, the solution is just a few footsteps away. The Father of Modern Medicine, Hippocrates of Cos, once advised: “Let food be thy medicine, and medicine be thy food” but he could just as easily have said the same thing about beauty treatments. Of course, being a guy, he probably didn’t think about such things but chances are his wife Doriana did. If he’d bothered to ask, she might very well have suggested some of these same things. The same monounsaturated fats that make avocados a great source of healthy fats give them the power to beautify your body on the outside, too. So don’t toss those avocados that went from ripe to brown in the blink of an eye — use them to moisturize your hair. Just mash an avocado with 1/4 cup olive oil and slather it on damp hair. Wait 20 minutes then shampoo as normal to get soft, moisturized tresses with incredible shine. For dry skin, combine half an avocado with 1 egg white, 1 tablespoon of lemon juice, and 2 tablespoons of rolled oats or sugar. Rub this onto damp skin and wait 20 minutes before rinsing. Smooth! Did you know you can banish blackheads and tighten skin with egg whites? First, wash your skin well with warm water and a washcloth to open the pores. Then whip 2 egg whites and 1 tablespoon of honey together. Spread this on your face and kick back for 10 minutes or so while it dries. (Bonus: put cucumber slices on your closed eyes to reduce puffiness while the egg white mask does its thing.) Rinse with warm water using the same cloth and behold, your pores are almost invisible. Got an itchy, flaky scalp? Egg whites can help with that, too. Combine 3 egg whites, 2 tablespoons coconut oil (warmed until it’s liquid but not hot enough to cook the egg whites), and 3 drops tea tree or lavender essential oil. Part your hair into sections and apply this mixture to your scalp with fingertips, then rub it in. Wait 10 minutes and shampoo as normal. Cleopatra is said to have bathed in donkey milk to keep her skin supple in the hot Egyptian heat. You don’t have to go milk a donkey: the same stuff you pour on your cereal works just fine — and so does powdered dry milk. Pour 1/2 gallon of fresh milk or 1 cup of dry milk powder into a warm bath and soak for 20 minutes then rinse. The milk’s lactic acid will exfoliate dead skin cells and leave your limbs luxuriously soft. Milk also works wonders on dry, cracked heels or hands. Combine 1 quart of warm water, 1 cup of milk, and 2 tablespoons of coconut oil in a deep bowl. Soak your feet or hands in this solution for 10 minutes then rinse, pat dry, and apply your regular moisturizer. Repeat nightly, and the cracks will heal within a week. 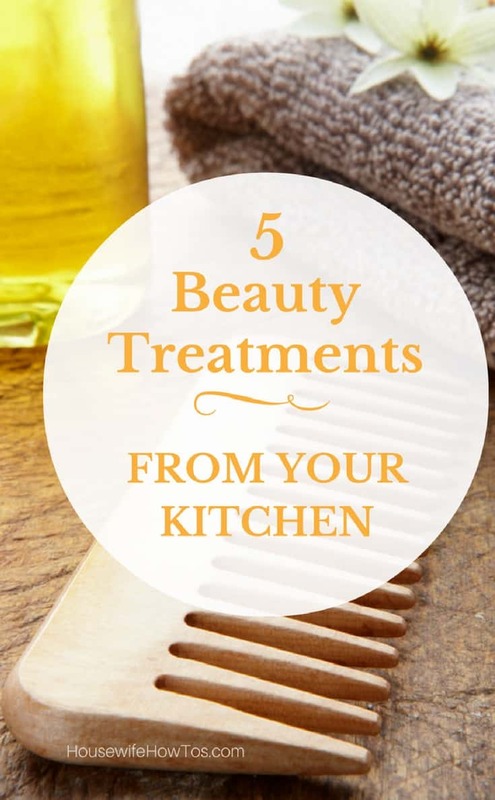 It’s amazing what lemons can do around the house, and for your beauty, too. Streak your hair with lemon juice and a Q-tip then sit in the sun for an hour to get subtle but glorious highlights. Lemons also lighten dark spots. Mix a little lemon juice with aloe vera gel and dab it on dark spots nightly for 2 weeks and they’ll fade. Or, soak yellowed nails in 1 cup warm water, a drop of liquid dish detergent, and the juice of 2 lemons and they’ll turn white again. To give your hair body and improve manageability, pour a room-temperature beer on damp hair and wait 3-4 minutes then rinse. The B vitamins and hops in the beer will do wonders to restore your hair’s strength and also promote healthy growth, too. Beer treats acne, too. Combine equal parts of your favorite brew and honey, then slather it on acne-prone areas. Wait 10 minutes then rinse with warm water. The beer will condition your skin and promote healing, while honey’s antibacterial properties will clear up those pimples and blackheads. Next time you’re at the grocery store, don’t just stock up on food to fit your menu plan: bring home some of these inexpensive beauty treatments, too. Do you enjoy frugal, clever household tips? Then you’ll love my book, 1,001+ Housewife How-Tos — it’s full of easy solutions to everyday problems. Get your copy in paperback or for the Kindle.